Hi there! 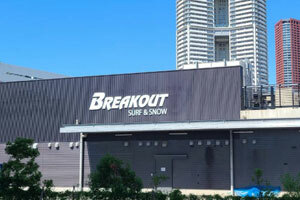 Summer is coming to Fukuoka Japan, but we are already preparing for the next snowboard season for the keen snowboarders! 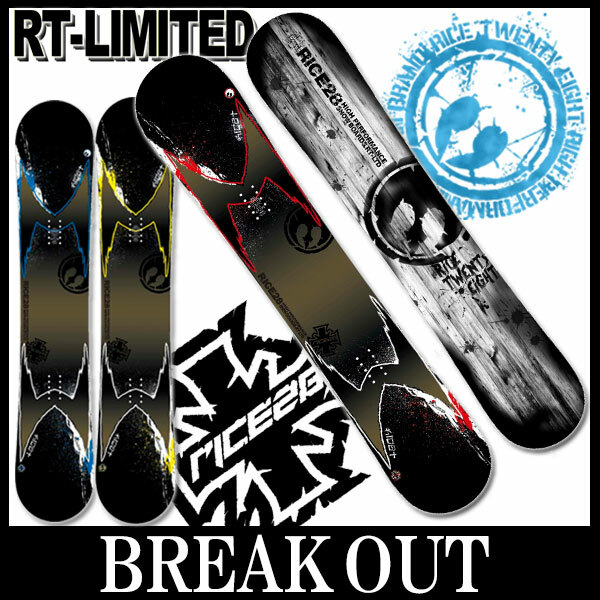 2016-2017 modeled snowboards are arriving at BREAKOUT! 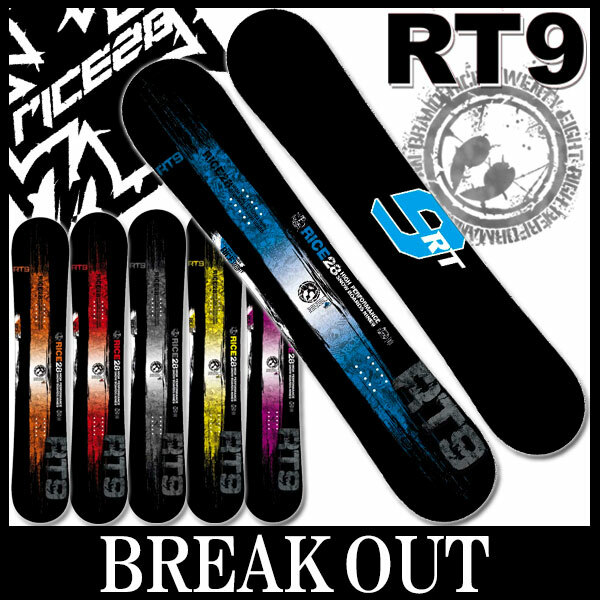 There is “RICE28” already in our stock which is recently getting famous for “ground tricks”. As you might know, “RICE28” boards are made by OGASAKA in Japan. They are especially great for freestyle. 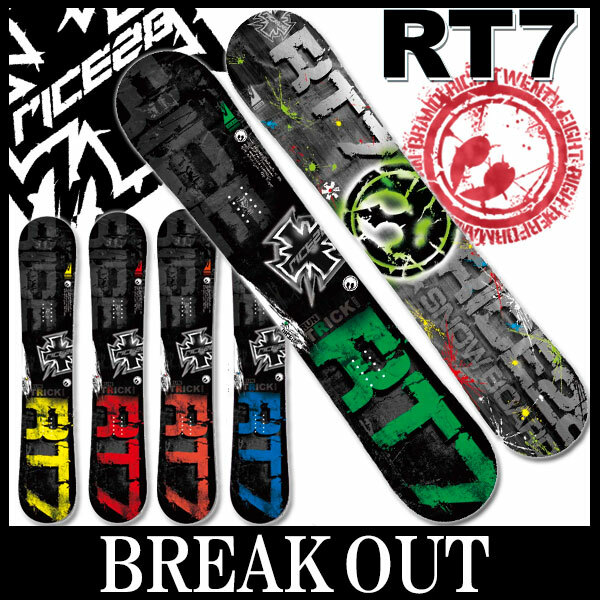 First, let me introduce the king of ground tricks “RT-7”. “RT-7” is very light and flexible. It’s easy to handle not only at slow speed but also at middle speed! All you need for ground tricks is in “RT-7”! This is an all-mountain freestyle board useful for all types and styles of snowboarding. To support all kind of items in the snowpark, its whole flexibility is slightly harder than RT-7. If you would like to make higher jumps as a part of ground tricks, I highly recommend RT-9. Third, the combined-allround-trick model “RT-LTD”. RT-LTD is a hybrid camber board. The construction called “CA2” is an original technology by RICE28. RT-LTD is not only great for jump and ground tricks but also freestyle. Finally, a board for girls “PANDO”. This hybrid camber board, “PANDO” is easy to handle, and designed for women who don’t have strong legs but are still keen to do ground tricks or jibbing. There are so many other brands and models from home and abroad at BREAKOUT! If interested, just come to our shop in Fukuoka Japan and see all of them! It seems the riding like the below video is getting popular in Japan and whole Asia, so check it out! We are discounting other snowboard tools too and looking forward to seeing you!